If you don't know about "Gaurav Tower", it is one of the hot spots of pink city Jaipur, capital city of Rajasthan. Many people, of all ages, convene here to have a good time. 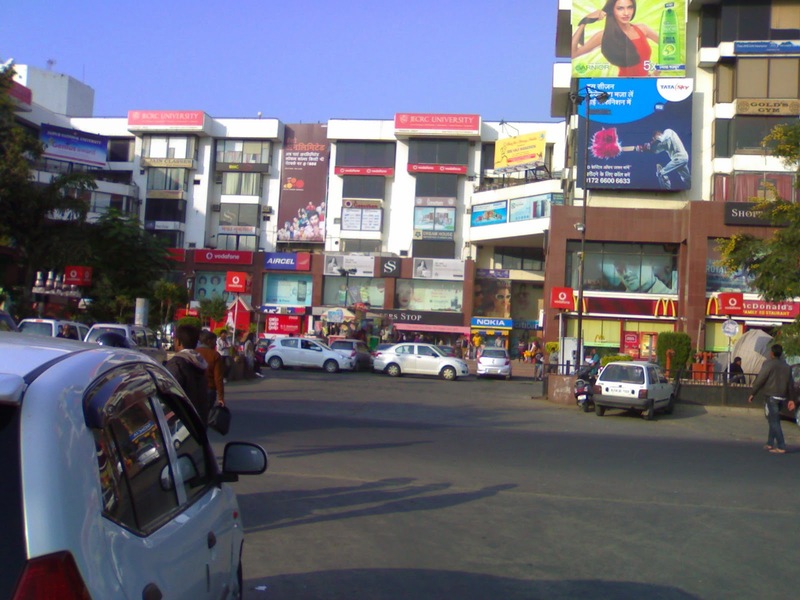 The reason being the availability of large number of shopping complexes, food plazas, and other interesting places nearby. Many teenagers happily spend time dining and playing games in Gaurav tower. The nearby crystal mall, world trade park, Jawahar Circle (amusement park with light and sound fountain show), Jaipur Dairy (which has open restaurant where the dish called Paneer Pakora is famous), are popular destination for movie watchers, gamers, and foodies. Cancer hospital and Jaipur Stock exchange are at walking distance too. Normally people hire a taxi or use a city bus to reach to Gaurav tower. Today we will show you how to get to this place by train. It might surprise many people since there is no station of Indian Railway at the spot. And if you are thinking that we will suggest you to get down to railway stations in vicinity, like Jagatpura, Gandhi Nagar, or Durgapura, or even Sanganer, and then hire some auto, then you are wrong. We will make you reach Gaurav Tower by train and right there. If you have traveled by train from Jaipur to Delhi, you would have noticed that a railway track runs just behind Gaurav Tower, through Malviya Nagar. Now what you can do is to take any train of Delhi - Jaipur route and pull the chain just before the Malviya Nagar flyover which is built on JLN (Jawahar Lal Nehru) Marg. Be careful as if you get caught Railway might impose heavy penalty for stopping the running train between the stations for no reason. You can always make excuse though that something valuable had fallen through the opening in train's toilet, like your iPhone, and that's why you pulled the chain. The best thing to do is to just run as soon as you jump down from train and head straight into the Crystall Mall from backdoor which is right in front of the railway track, and hide yourselves somewhere. Railway guard won't come searching for you across the road. You can feel safe and secure. Caution - Take care while climbing off the train, and see left and right to watch out if another fast train is speeding through. If trains are coming run towards the other side of the track, towards Jagatpura, and then take a shortcut through Mayur Garden (a peacock garden with no real peacocks) to go to Gaurav tower. There you are. Now you know how to get to Gaurav Tower by train.